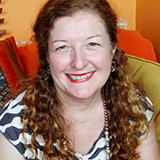 Debra Mainwaring studied and practised Psychology and Education in both the UK and Singapore before arriving in Brisbane in 2003. After teaching across many age ranges from preschool to university Debra returned to practice psychology in the community as a specialist Educational & Developmental Psychologist and Education Consultant in 2008 in the UK and 2009 in Brisbane, Ipswich and the Gold Coast. Since 2015 Debra’s practice was offered from Sydney providing outreach to rural NSW, ACT, and VIC. She currently is contracted to work in South Wales, UK for the remainder of 2018 but is offering therapy, supervision and professional development support in Australia by appointment. Her practice has since evolved into her current business known as DJM Psychological Services and aims to empower and inspire the people who consult her. Prior to establishing her own business, Debra worked in residential settings for children in out of home care; schools as a classroom teacher (UK, Singapore and Logan), learning support teacher (UK and Singapore), head of special education services (Singapore), Guidance Officer (Education Queensland), and Guidance Counsellor (Brisbane Catholic Education); and in the community as an Educational Psychologist (UK) and as an Education Consultant for a flexible learning network and specialist foster care agency (S.E. QLD and NSW). She was the Regional Student Wellbeing Coordinator for Sydney Catholic Schools for two years and now offers interstate and international support to school communities and community agencies. She is also a former Member of the International Society of Trauma Stress Studies, the Australian Society for Traumatic Stress Studies, a Supervisor endorsed by the Australasian Association of Supervisors (AAOS) and the Australian Psychological Society College of Educational & Developmental Psychologists (CEDP) and a Director of Wellbeing Australia. Supervision services for a range of professionals including those preferring expressive therapy modalities. Assessment and Intervention for Children who are Gifted and Talented with an identified Learning Disability. Children and young people with Complex Trauma histories and Attachment Difficulties. Debra and her team are developing a charitable foundation to support children with complex trauma histories who require access to long term intervention and they are encouraging local communities to supporting the healing of these children. Why not Champion a Child’s Therapy today?! Thank you Jan for the opportunity to work with you, colleagues at Gowrie NSW and your group of Early Educators. It was both a delight and a privilege.